Lexus announced today that the planned 500-unit production run of the two-seater LFA super car has been completed. 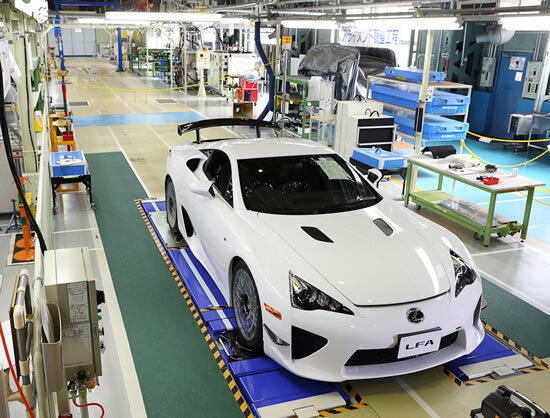 The LFA, produced at a pace of one per day, first went into production at the LFA Works in December 2010. In January 2012, the LFA Works also began production of the “LFA Nürburgring Package, a circuit-racing-oriented grade. Future Lexus vehicles will reflect the technological skills gained during the development and production of the LFA—particularly the manufacturing know-how for carbon fiber reinforced plastic parts—as well as the car design philosophy for realizing exhilarating and stimulating driving performance. 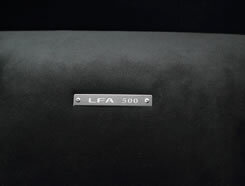 The final, 500th LFA was completed on December 14 and will undergo quality inspection and road testing before being delivered to its owner.